This weekend was a bit lackluster mostly because I skipped garage sales on Saturday and only hit up two thrift shops on Sunday. 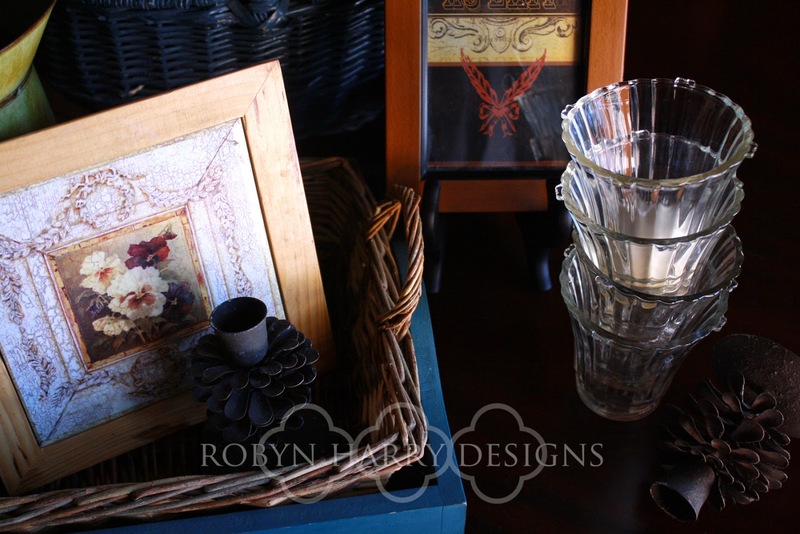 Still, I scored some fun pieces of junk that I cannot wait to get creative with! 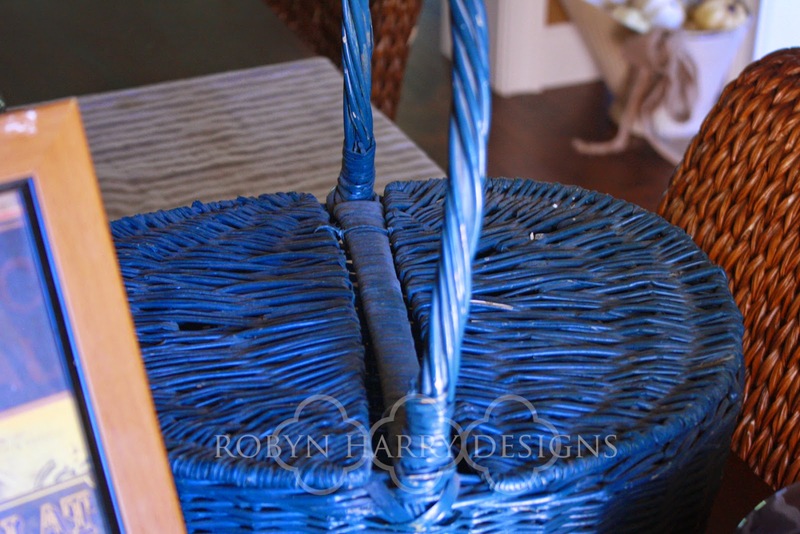 This pretty wicker basket in French blue reminded me of something that would be used to hold collected lavender bunches. It just needs a good cleaning and a tiny bit of repair on the lid. I will be adding it to my shoppe in the near future. I can NEVER resist a good set of canisters. I feel they are something everyone uses in their home. Sometimes they are proudly displayed on the kitchen counter. Other times, they are neatly tucked in a pantry or under a counter. Either way, canisters are a must. 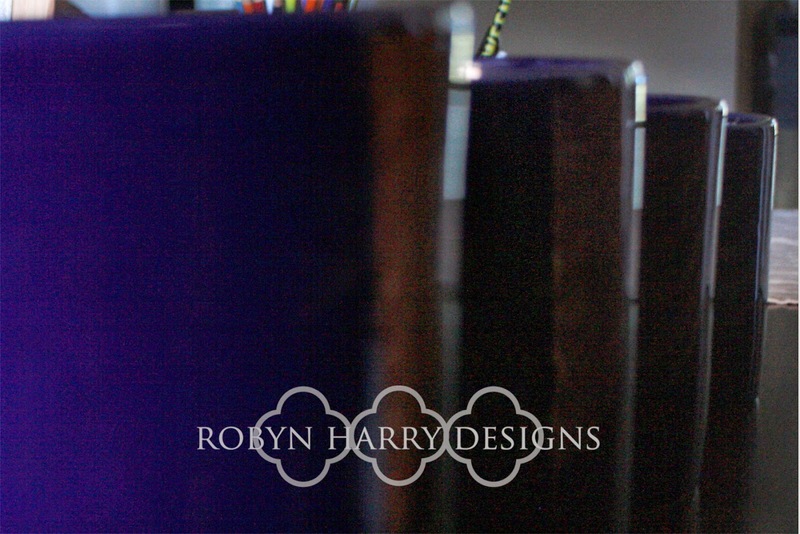 I was excited to find this set of four cobalt pottery canisters. I added a fun dry erase label to each and stuck them in my shoppe right away. 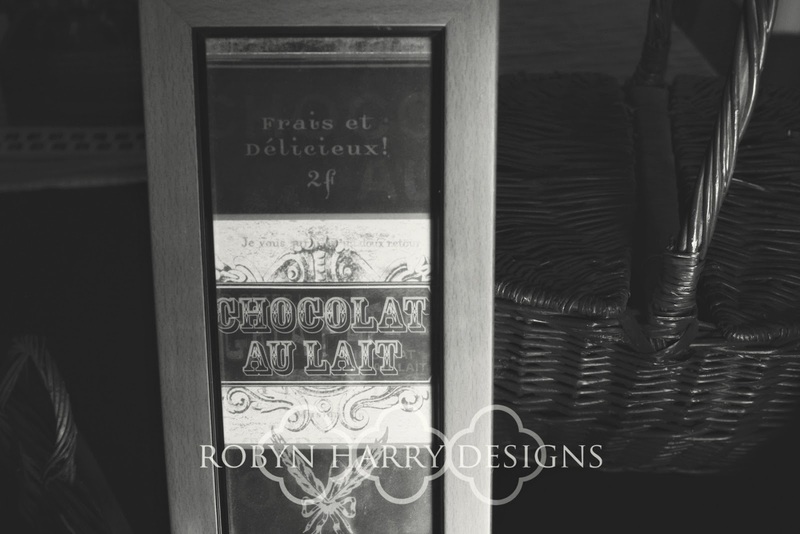 It has French typography on it? Check! I didn't have to think long about this one. The frame is an unpretty wood, but I plan to give it a mini facelift with some milkpaint. 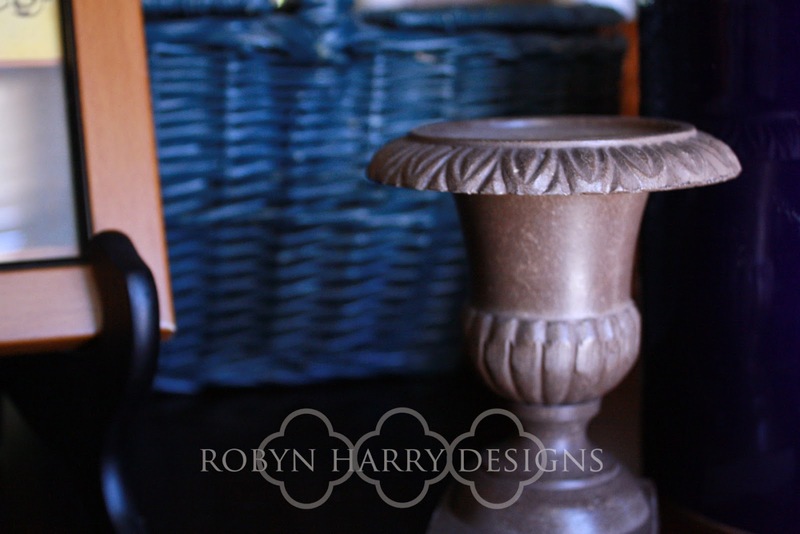 Isn't this mini urn just the cutest?? I have a special project in mind for it. I need to find just the right item to go with it and then I will be happy to share on the blog! 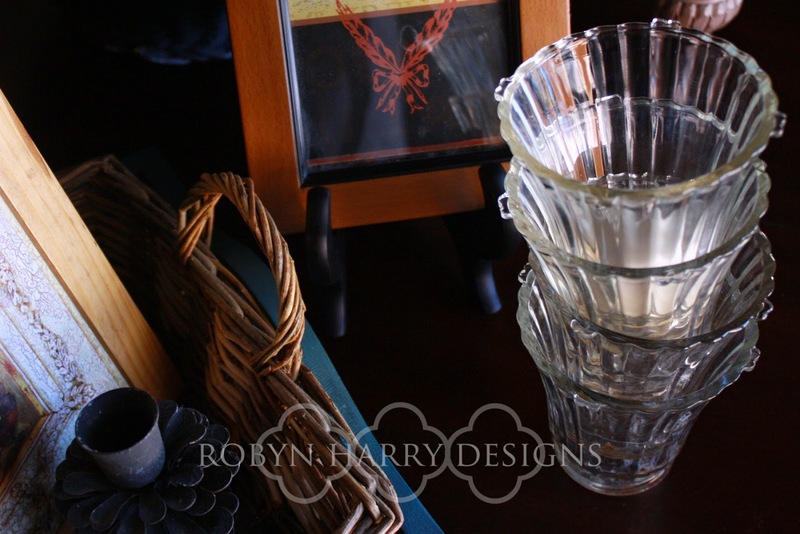 I fell in love with these little pinecone taper holders. These cuties will definitely receive a fun update this week. I hope to share the completed project with you soon! I actually found this pitcher at a big box craft store on clearance. Although it's new, it has a rustic quality to it. I will be using it for a fall floral arrangement. 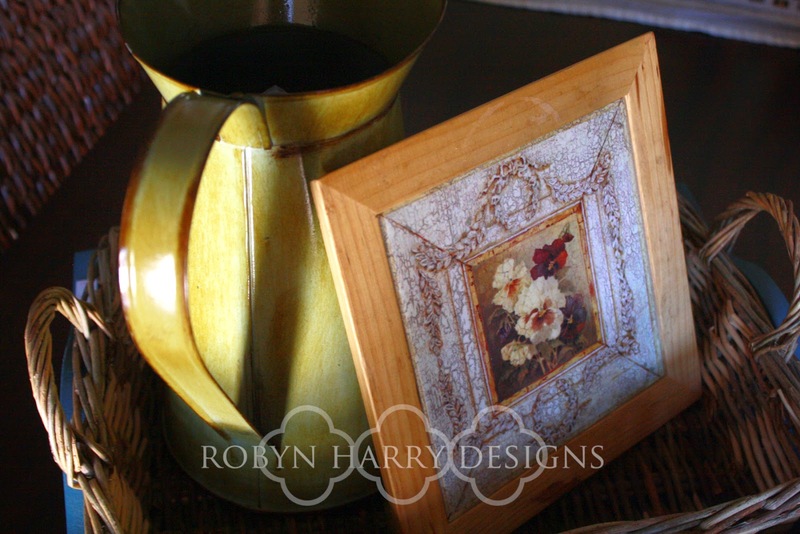 I love the pansies and the wreaths on this lovely trivet. I am trying to decide if I should paint the wood a pretty white. What do you think? 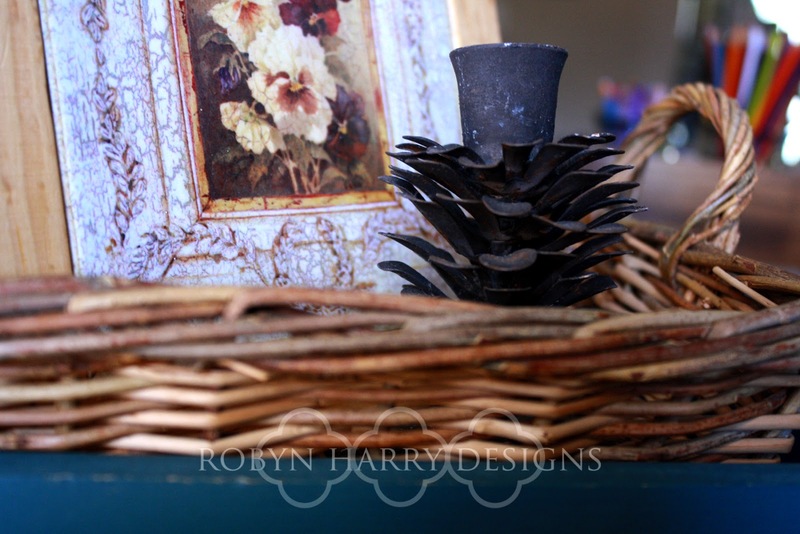 This stack of votive holders are going to paired up with the pinecone tapers. I am sure you can figure out what's going to be happening there! Can't wait to share the finished project with you. Finally, I picked up a couple of trays. The pretty French blue tray is a light craft wood. I am going to leave it as is because this color seems to be extremely popular these days. 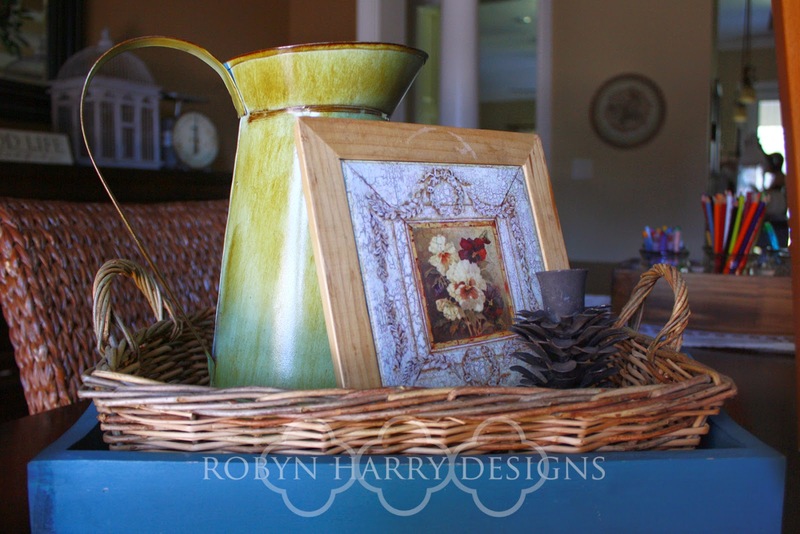 The second tray is simple wicker tray. I imagine it could hold bread at family dinner or an assortment of kid friendly books on the coffee table. Both are perfect as is and will remain as I found them. So, did you have any luck this weekend? I'd love to see what you found on my facebook page! This is the second post of my Weekend Finds. Click here to see more!